Argentinean pilots have a good tradition of low level flying. 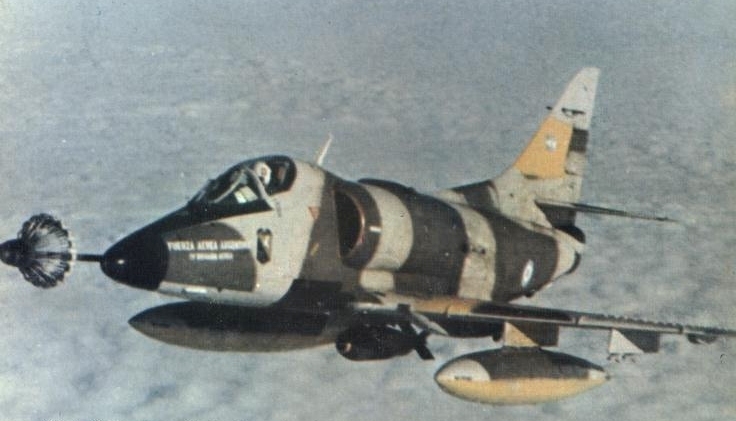 Along with images of ultra low altitude attacks on British warships during the Falklands War (Malvinas), we’ve already seen and commented a more recent daredevil flyby of an Argentine Air Force IA-63 Pampa. The last of a series of almost insane stunts depicts a Mirage 5P flying between the shelters of an unknown airbase in Argentina. Although combat planes can quietly operate at medium or high altitude with stand off weapons, in the majority of most recent scenarios pilots still train low-level high speed flying to face enemy threats they could face during attack, special operations, reconnaissance, Search And Rescue, troops or humanitarian airdrop missions in troubled spots around the world.